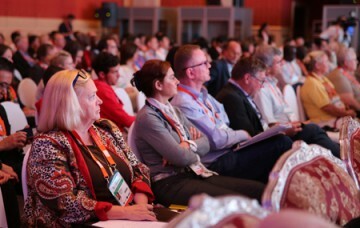 30.11.2014 – The first, intense, day of the Aquatics Conference, within the frame of the FINA WAC, started with the introductive speech by Cornel Marculescu. 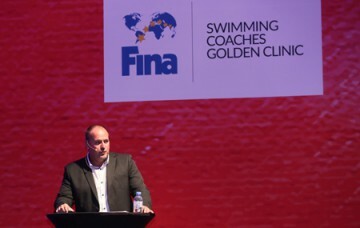 30.11.2014 – The two-day FINA Swimming Coaches Golden Clinic opened in Doha, Qatar. 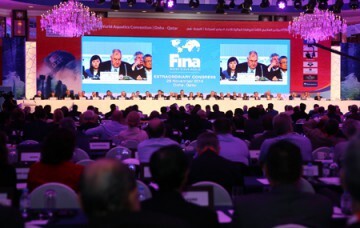 29.11.2014 – With the presence of delegates from 155 National Member Federations, the FINA Extraordinary Congress took place today at the 3rd FINA World Aquatics Convention in Doha (QAT). 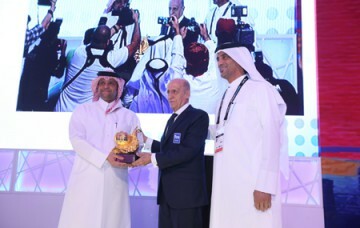 29.11.2014 – The FINA Convention was officially opened in Doha with welcome speeches from the FINA President and the Secretary General of the Qatar Olympic Committee. 12.11.2014 – FINA formally approved the first short course world records in 1991, opening the door to the first FINA World Swimming Championships (25m) in 1993.